« Are Dental Implants Worth It For Brandon FL? Visiting Five Star Dental Care for regular cosmetic dental check-ups and cleanings every six months can seem inconvenient and unnecessary at times, but you may benefit in ways you never imagined. While the study could simply confirm that those Riverview FL area people who dutifully schedule regular dental cleanings also practice healthy habits like exercising and eating right, there is additional evidence of a relationship between oral health and heart health. While the study found that patients who schedule cleanings yearly reap the most health benefits, Dr. Jeff Bynum of Five Star Dental Care recommends coming in for check-ups and cleanings every six months to catch potential problems early, saving Riverview FL area patients time and money. Regular dental cleanings also brighten and whiten teeth, making your smile look its best. 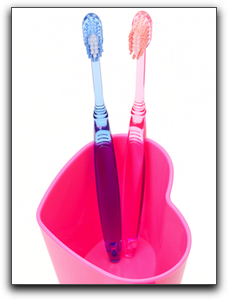 To schedule a deep cleaning with our knowledgeable dental hygienist at Five Star Dental Care, call 813-653-2273 today! In addition to providing dental exams, we offer a wide range of cosmetic and restorative dentistry procedures. Ask us about porcelain veneers, dental implants and sedation dentistry. This entry was posted on Friday, May 25th, 2012 at 10:08 am	and is filed under Education, General Dentistry. You can follow any responses to this entry through the RSS 2.0 feed. Both comments and pings are currently closed.